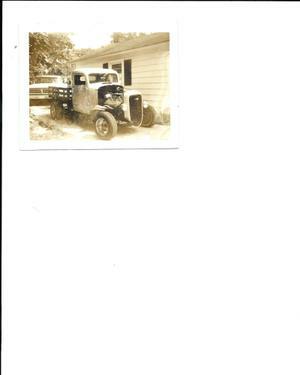 My 1936 Chevy Pick Up with BB 402 Eng. 2 4's Crane Cam, Heads Milled and polished, 400 Turbo. Trans. with B & mTranspack kit & B & M shifter, with 12 bolt rear with 390 Posi. Very fast for its day 1977.